It’s GERD Awareness Week — and it’s also Thanksgiving week. To a lot of folks, this means a holiday feast with all the trimmings: turkey, stuffing, mashed potatoes, pies and other rich foods. But for people living with gastroesophageal reflux disease — over 4,650 here at PatientsLikeMe — it might mean something different. The most common symptom of GERD is heartburn, but others include difficulty swallowing, hoarseness, sensation of food sticking in the esophagus, chronic sore throat, wheezing or chronic cough. * And while food doesn’t cause GERD, it can aggravate these symptoms. 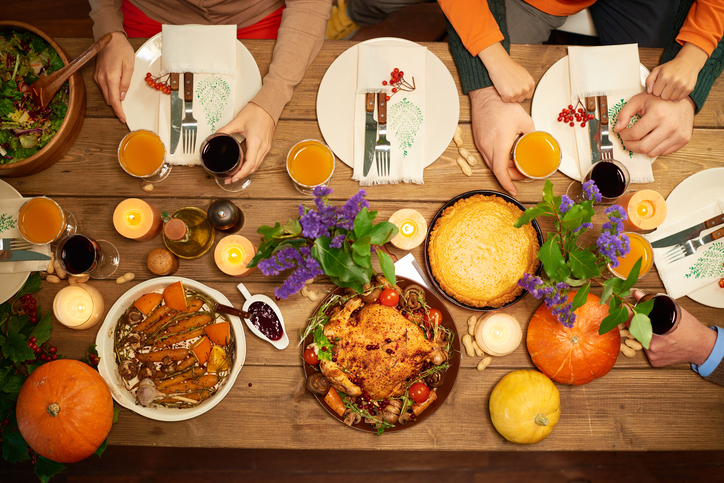 If you or a loved one is living with GERD, what Thanksgiving tips and GERD-friendly recipes can you share? Hop in the forum and get a conversation going.